The cloth versus disposable debate has gone on for as long as many of us can remember. Disposable diapers came onto the scene around 1950, when a company called Curity released what we know as the first folded diaper. Before then, there was no argument on cloth vs. disposable – cloth was all there was. Once disposable diapers became affordable, they experienced a surge in popularity. They became the new trend, thought to be more sanitary for baby and more convenient for mom and pop. However, more recently, parents have started to rediscover that newer isn’t always better. Sometimes, the tried-and-true method is still the best method. Elitecarseats sheds more light below. Are Disposable Diapers More Sanitary? Sometimes, those uneducated on the topic will make the argument that disposable diapers are more sanitary than cloth, since you throw out the waste when you’re done. As with any diaper, as long as it’s changed when it’s dirty, both types maintain about the same level of cleanliness for baby. In terms of sanitary levels for the environment, there are interesting points to consider on both sides. Most disposable diapers today are only made to be about forty percent biodegradable. This means that baby’s waste and the majority of the diaper wind up sitting in a landfill. This situation isn’t ideal for the environment. On average, a baby who uses disposable diapers until potty trained puts sixty-five hundred used diapers into a landfill. Greenhouse gases are emitted when manufacturing these diapers. Disposable diapers are made to decompose in about five hundred years – that is, if they decompose at all. Cloth diapers, on the other hand, are more environmentally friendly, but aren’t one-hundred percent green, either. While cloth diapers are a one-time expense, hand-washing them or running them through your washing machine results in significant wastewater. Disposable diapers have more obvious environmental effects. Cloth diapers aren’t as green as you might be led to think, though. Classic cotton or other fiber diapers such as hemp, bamboo, or wool are available. Many others are made with polyurethane and synthetic fibers. These materials are no more environmentally friendly than disposable diapers. It’s important to consider how and where your cloth diaper is made. The manufacturing processes for some can release greenhouse gas just the same as disposable manufacturing can. Which Is Better for My Baby’s Skin? Having a skin-friendly, irritant-free diaper is a concern for most parents, especially for those whose babies have especially sensitive skin. Most disposable diapers are made with undesirable chemicals that can irritate baby’s skin. Dioxin, for example, is a by-product of the bleaching that occurs in disposable diapers. Dioxin is a known carcinogen. However, there is no definitive proof that this has any ill effects on baby. While there are plenty of sensitive skin varieties of disposables out there, it may be best to swap to natural-fiber cloth diapers preemptively. It could save you the trouble of finding disposables that baby can tolerate. Merely swapping out disposable for cloth diapers won’t necessarily put a swift end to baby’s irritation. As with anything, doing your research and testing different products is often necessary. In this case, a natural, irritant-free detergent, preferably one made for babies, may be needed for washing your cloth diapers. An essential factor to keep in mind for baby’s comfort is the absorbency. The absorbent layer inside disposable diapers does a better job at keeping baby’s skin dry. However, this can lead to parents changing the diaper less than they really should. The high cost of disposables can also factor into this, too. The cost of changing a cloth diaper is only the cost to launder it. Anything wet that’s pressed against your baby’s skin for long periods will irritate the skin. The same goes for something dry that rubs against an area. You may get better results with one type of diaper over the other, or looking for a sensitive solution of either type could do the trick. Often, it comes down to personal preference and cost. Many people house the misconception that cloth diapers require much more effort than disposables. While it’s true that disposables are easy, they’re not necessarily easier. Disposable diapers require going to the store when you run out, buying more diapers, then returning home. You may end up in a tight situation if they’re out of your brand. You may also want to wait for a sale, but might be unable to if you’re about to run out. On the other hand, cloth diapers require the first investment, then can be reused over and over again. They have a lifespan, but if they last long enough, they can be used across multiple children. It’s necessary to have a large enough number of cloth diapers to rotate them correctly, but they can be laundered as necessary. It’s as scraping any large messes into the trash, then throwing them in the wash (isolated, of course, or with things like dirty rags and towels). It’s true that disposables don’t require the washing that cloth diapers do. However, if you get your disposable diapers from the store, the convenience between the two evens about out. If you get them delivered to your home regularly, though, ease of use could shift in the direction of disposables. The main difference between cloth and disposable diapers is in the way costs are calculated. Disposable diapers are cheaper to purchase, but you will need to buy more of them over the life of your child. Cloth diapers, if you’re buying them, are more expensive, but are typically a one-hit cost once you’ve purchased all you need, aside from laundry costs. With a cloth diaper, the only money you spend by changing it is for the water in the laundry, the detergent, and the electricity. Let’s assume that, as a ballpark number, you spend about one dollar per load of laundry in water and detergent costs. 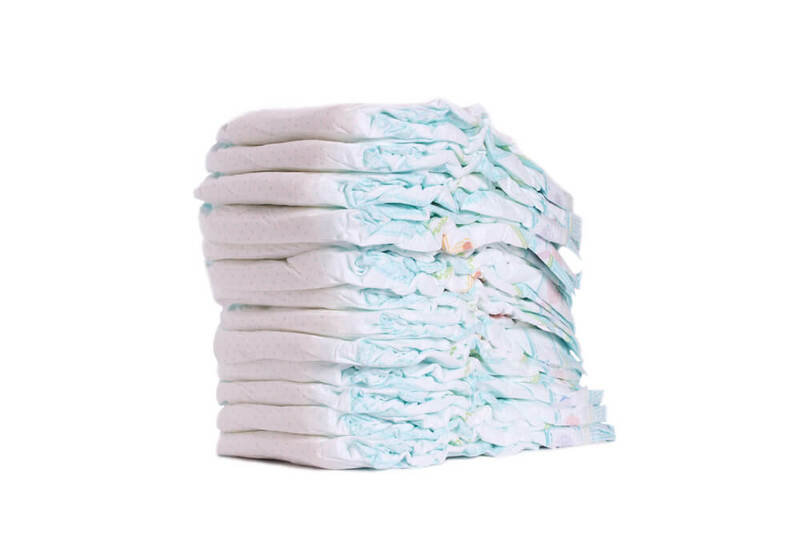 If you’re washing about twenty diapers per load, plus fifty percent other laundry, that would even out to roughly two and a half cents per diaper per wash.
Obviously, the above is made with VERY rough ballpark numbers. You’ll need to do your own math based on the age of your washer, how many diapers you have, and whether you wash other laundry along with the diapers or not. Whether or not you machine dry them will also add a small electrical cost. Keep in mind, though, that there are also professional laundering services out there for your used cloth diapers. This service might be an attractive prospect for those not keen on dealing with baby’s messes, but it will run costs up by quite a bit. Expect to pay much closer to the value of disposable diapers if you use a professional cleaning service. Disposable diapers, on the other hand, cost on average about twenty cents per diaper. This cost can swing widely in either direction based on the brand and whether you’re buying in bulk or not. However, the cost of a box of disposable diapers is almost always more than the cost of laundering a load of cloth diapers. 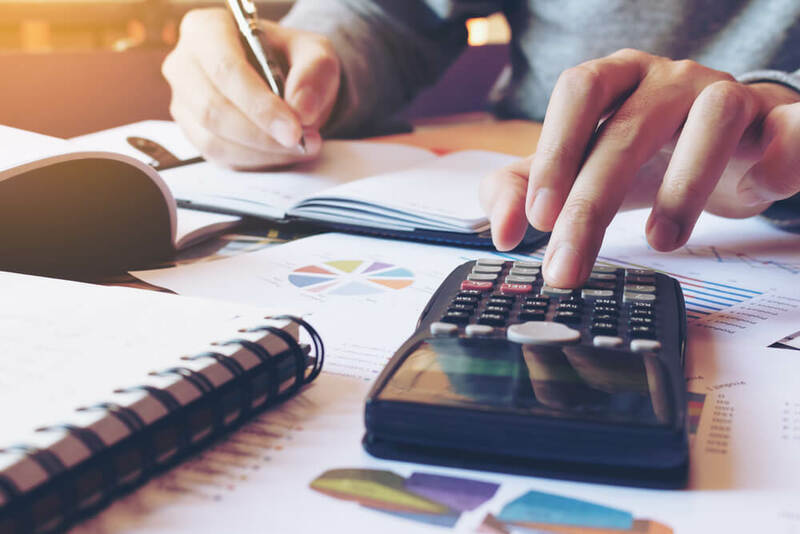 If you’re prepared to shoulder the upfront expense associated with cloth diapers, they have a lot going for them financially. Most importantly, if you plan to have multiple children, buying well-made, sturdy cloth diapers can pay for itself over several years. Additionally, cloth diapers don’t have to be bought. If you’re savvy with DIY or know your way around a length of fabric, you can build your own cloth diapers for a fraction of the cost. This is how they used to do cloth diapers before disposables were invented; they were created out of any and every usable cloth. You may also be able to find used cloth diapers from secondhand shops or yard sales. Just be sure to wash and sterilize secondhand cloth diapers thoroughly before use. If you do some snooping online, there are also sites out there that specialize in the sale and distribution of used baby supplies. All-in-all, the most bare-bones choice in terms of cost is sewing your own cloth diapers. Next up would likely be secondhand cloth diapers, although availability for these can be limited. Whether new cloth diapers or disposables comes out on top depends on how many children you decide to have. The winner also depends on how well the cloth diapers you invest in hold up over time. Reusable cloth diapers are starting to become trendy for another reason: they can come in any color or design you can imagine. While there are some designs and colors available for disposable diapers, these often cost more. Additionally, the diaper gets thrown away within a few hours anyway. Cloth diapers, on the other hand, can come in infinite designs and colors for baby. It’s even possible to buy coordinating cloth diapers for baby’s outfits if you so desire. More than likely, you can purchase custom-embroidered colors or designs, too, if you have the money or inclination. Just keep in mind that if you load up on pink diapers, then have a baby boy, you may be in an awkward situation! Significant engineering has been done on disposable diapers to create the best-fitting diaper. These are made to fit somewhat loosely around baby’s bottom. They fit snugly around the legs and hips to minimize the chances of undesirables leaking out. When many people think of a cloth diaper, they don’t realize that they also feature this body-hugging design. Because cloth diapers are meant to last a long time, they often come with more fit options that the typical diaper. This is so that they can be loosened as your child grows or reused on a new child. They also feature the same leg and hip-hugging technology that disposables have. They do just as good a job of preventing leaks, if not better. However, disposable diapers do have breathability over cloth ones. The synthetic materials of disposable diapers are designed to allow air flow in or out. This is something that cloth diapers just aren’t able to replicate. If you’re not prepared to deal with baby messes, being a parent may not have been the smartest choice for you in the first place. However, disposable diapers do have a decided hygienic advantage for adults over cloth. Disposable diapers can be removed, bundled, and thrown right in the trash (when there’s one handy, which there sometimes isn’t). However, a cloth diaper, especially when changed while you’re out and about, can’t just be thrown away. You’ll need to be prepared with a diaper bag – which you should have anyway, let’s be honest – and a clean, leak-proof receptacle for used diapers, such as a large resealable plastic bag. If you can’t clean the diaper while you’re out and about, you may have to wait until you’re at home. If scooping baby’s poo out of a cloth diaper doesn’t sound like something you can tolerate, cloth diapers aren’t for you. As lovely as they are, and even with advances in machine washing, it’s not advisable to throw a soiled diaper full of poo right into the wash. If you don’t want a dirty washer (and potentially contaminated laundry), you’ll need to clean out as much as you can yourself beforehand. All in all, both cloth and disposable diapers have their advantages and disadvantages. We think that cloth diapers are a better choice overall, because of their lessened environmental impact and cost. The multitude of available fashion choices doesn’t hurt, either! However, disposable diapers still have several legs up on cloth. For example, if you’re a bit squeamish about baby’s business, disposable may be the way to go – just pull it off, wipe, bundle it up, and throw it out. Disposable diapers cut out some extra cleaning steps required for messy cloth diapers. If you’re willing to put in a little extra cleaning time, though, cloth diapers stand to save you a lot of money. They’ll also save the environment a lot of land fill, especially if you plan to have more kids.